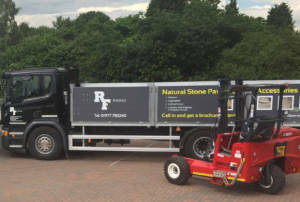 The RF Paving range has grown and developed into one of the UK’s leading stone brand. 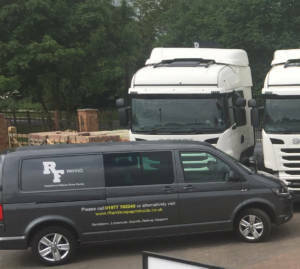 We have many stockists across the UK that stock our extensive range of RF Paving with showrooms around the country, along with a large showroom and stockyard in Whitley, East Yorkshire. Our reputation for product range, quality and service has been at the forefront of this growth and we are proud to present this website, full of our core products and in addition, some exciting, new ones to inspire you. We have a dedicated and friendly team of staff trained to deal with and manage your requirements. Our yard and showrooms contain a comprehensive display of our products and we can also respond to requests for new or varied products. In other words, if you don’t see it, just ask us! We source product from all over the world and pay particular attention to the quality and sustainability of that supply. Overseas, we only work with exporters who have a good reputation and who understand the needs of our customers. In the UK also, we pride ourselves in sourcing the best quality of product and providing this to our many stockists, giving you only the best product of natural stone. We pride ourselves on the strong relationships we have with the stockists we deal with, working together to provide the individual a great quality product. Due to sourcing the product from all over the world and importing on a timely basis, we ensure we do everything possible to suit both the needs of our stockists and to ensure that individuals get the best service possible. In addition, the product can be packed and delivered with great efficiency to you, the customer, exactly when you need it. We have an unrivalled turnaround of orders to site. We have invested in high levels of stock, especially in our core lines, which means that we usually have what you need. We have tried to represent each product on this website so you can find what you are looking for. However, as always, the best way to appreciate the colours and quality of the range is to view it at your nearest stockist or at our site showroom in Whitley, Yorkshire. We hope you indeed find what you are looking for and we look forward to being of service to you. A complete range of whatever you need at amazing prices, if you don’t see it, then all you have to do is ask and we will try our absolute best to cater to your needs. We supply to the trade and to private individuals so whatever your requirement, please do not hesitate to call your nearest stockist for our best quotation.